+1; Put a +1/+1 counter on up to one target creature. −3; Target creature gains flying and double strike until end of turn. 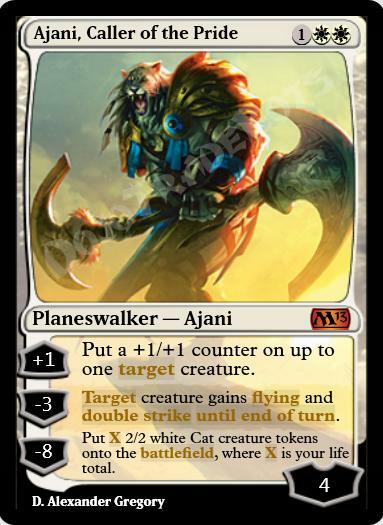 −8; Create X 2/2 white Cat creature tokens, where X is your life total.